Since the weather has turned cooler and it's been getting darker earlier in the evening, my standard routine every night is to come home and fill my house with the gorgeous scent and glow of candles. I just think it makes your home feel so cosy and I believe that different scents really do effect how you feel; whether it's calming and relaxing or invigorating and uplifting. The candle I'm first reaching to light at the moment is the NEOM Organics Real Luxury Organic Treatment Candle, which is designed to work as a holistic treatment as you breathe in the scented air. This candle isn't just a pretty face, believe me. Before we even get to the candle itself I must mention the packaging first, because it just screams luxury and quality straight away. I love the simple, white box, which reflects the simplicity of the candle inside; clean and pure. When you take off the lid, the front section of the box opens out naturally to reveal the candle in all its glory, sat up on a raised piece of gold (a nice contrast to the white and a colour you associate with luxury). 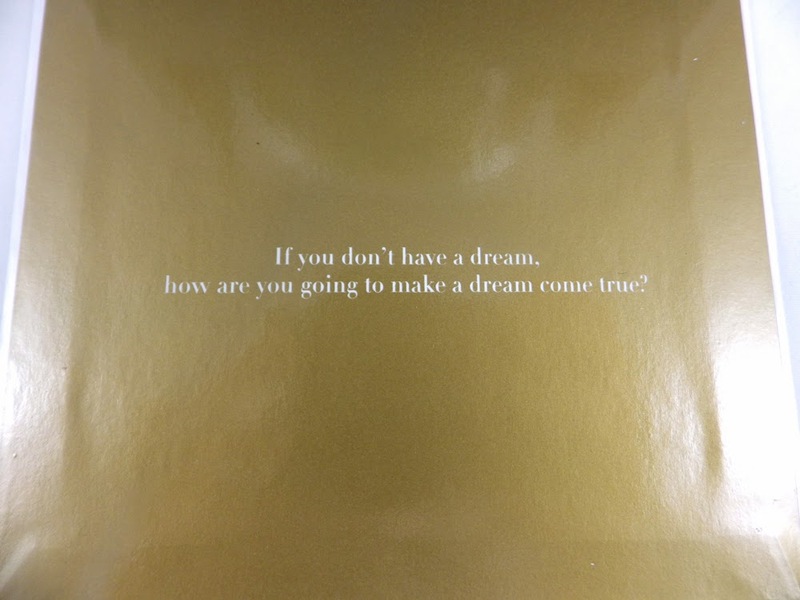 On the lowered front section of the box is a quote; "If you don't have a dream, how are you going to make a dream come true?". I just think this is the most lovely and thoughtful touch. I know that packaging like this is often thrown away, but if you were giving someone a NEOM Organics candle as a present this would make such a good impression. I'm loathed to throw away mine and am trying to think of an alternate use for it! The Real Luxury Candle is beautifully presented in a large, clear glass pot with 380g of wax, which will provide up to 50 hours burn time. 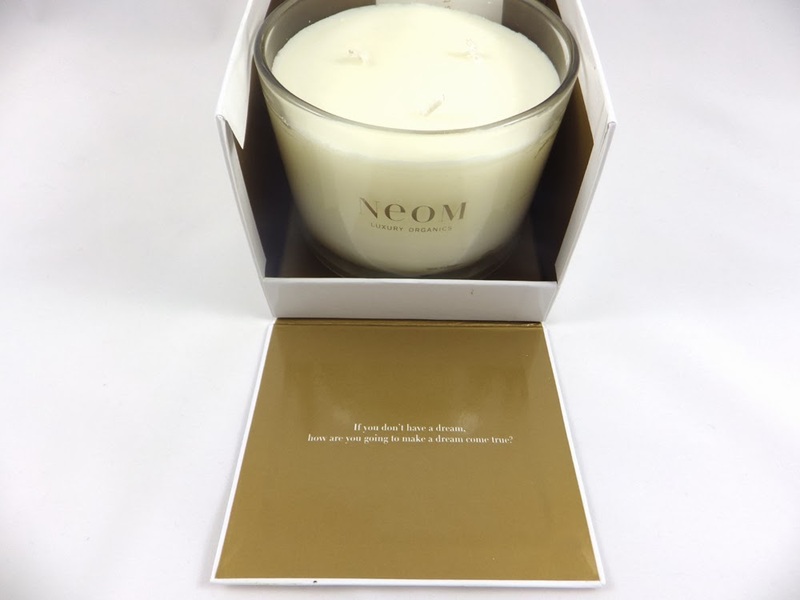 As with all NEOM Organics candles, the Real Luxury Candle is made from a special blend of vegetable wax and pure aromatherapy oils, which are 100% natural. It does not contain any synthetic scents, paraffin wax, black smoke or toxins. This means that the candle burns cleanly and evenly and will not leave any black soot on the glass pot, or anywhere else for that matter. 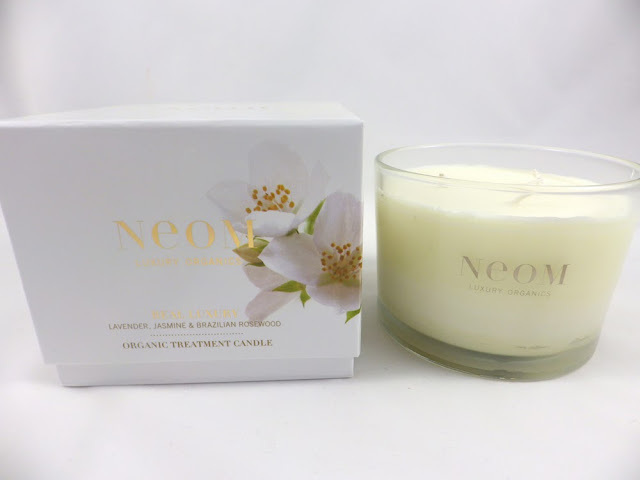 It has three wicks and NEOM Organics advise to always light all the wicks when burning, so that the wax burns evenly. The candle does exactly as it promises; there is not a hint of soot in sight and as it burns, the top layer of the candle completely turns into a sea of melted wax and oil. I previously mentioned that the Real Luxury Candle works as a holistic treatment, which is pampering. 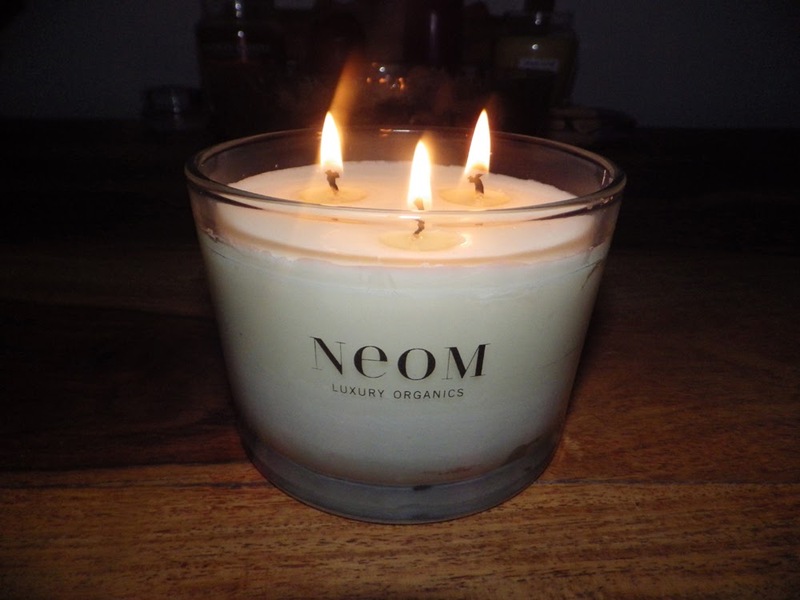 For this reason, NEOM Organics recommend burning Real Luxury for a minimum of 2 hours and maximum of 4 hours at a time. NEOM Organics describe their Real Luxury Candle as, "Perfect for pampering and 'me time', also gently relaxing so a lovely backdrop for a social evening and an ideal gift". 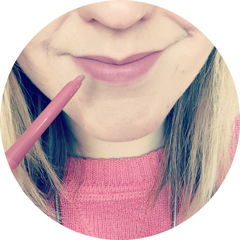 The scent is a combination of French Lavender, Jasmine and Brazilian Rosewood, which is actually quite light and is slightly sweet yet slightly spicy at the same time. It's just the most beautiful, calming and peaceful scent and will be perfect for those who want this kind of effect, but aren't keen on scents that are primarily and overwhelmingly lavender based. I don't think I will ever get bored of this scent, I want my house to smell like this all the time! 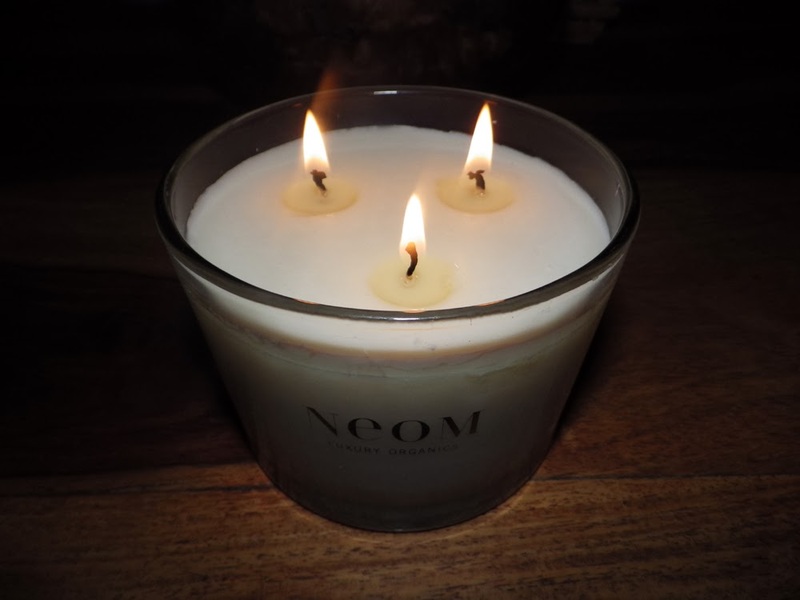 As you can tell, I am absolutely in love with the NEOM Organics Real Luxury Organic Treatment Candle. Now it isn't cheap - it retails at £39.50 - but if you want to treat yourself, this is the way to do it. It isn't your average candle and I think it is worth every penny considering the quality of what you get and the benefits it offers. It really would be the perfect present for a candle lover. Real Luxury is also available as a "travel size" candle for £15.00. 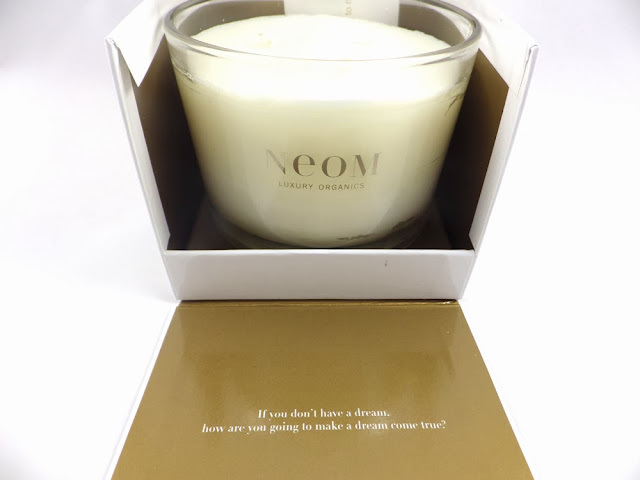 To view this candle and the rest of the range on the NEOM Organics website, please click here. Have you tried any of the NEOM Organics candles? What's your current favourite candle? I have this sitting in my cupboard waiting to be lit after my Diptyque one snuffs it! Cannot wait! Ah this sounds absolutely amazing. I really want to try them.